We are the perfect solution to free your family of head lice. We not only have the solution, but it is quick, safe, and easy! Even more, with the Signature AirAllé® full-service lice treatment, we are so confident it will work, we will re-treat you for free if your treatment fails. *conditions may apply. We are proudly serving Green Bay, De Pere, Fox Valley, Door County and all surrounding areas in Wisconsin. 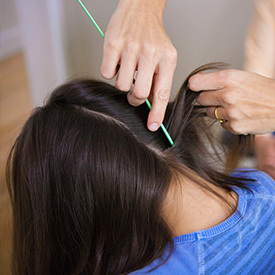 This is our most popular and effective lice treatment option. 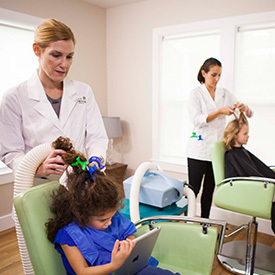 It is a 3-step process which includes a 30-minute AirAllé® treatment, a 30-60-minute comb-out to remove the dead lice and eggs and an oil application. This 3-step full-service treatment option ensures you will leave lice free with no follow-up needed. 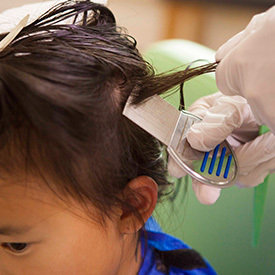 With a success rate of over 99%, we are so confident you will leave lice free, we offer a 30-day service re-treatment policy* provided all family members have been checked for head lice in our clinic and treated as necessary. 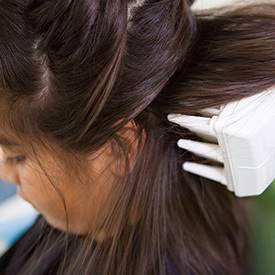 If you’re looking to possibly finance the family’s head lice treatments, check out this page for more information.